If you deal with back pain on a daily basis, you know how frustrating and exhausting it can be. You’re looking for a good night sleep and what you end up with is endless tossing and turning throughout the night. You want to get your rest and feel relieved when you wake up, but the pain becomes so overwhelming that you feel hopeless, and maybe you even feel depressed about your situation. Back pain is a result of different issues, and ailments so even the best mattress toppers for back pain will not solve everything, but you can get a good night sleep with the right topper. Mattress toppers can make up where your mattress might be lacking. If you’re looking for a softer mattress you can get a topper to add more cushion, and the opposite applies as well, if you need a firmer mattress you could get a topper that adds more stability and support to your mattress. If you feel like a mattress topper could help alleviate some of your back pain, continue reading for a full review of the best mattress toppers for back pain. How do you know you even need a mattress topper, and why not get a whole new mattress? Toppers provide relief of back pain, but they also help solve many other problems that troubled sleepers experience. Pain Relief – The most obvious issue that causes people to seek mattress toppers are issues with pain, and this is the primary problem they solve. If you wake up with pain in your back, shoulders, or hips, it might be because your mattress is not meeting the pressure points on your body, so you’re left with certain areas digging into the harder base layers of your mattress. A mattress topper adds extra cushion between you and the base so your pressure points and cradled and given a soft place to land. Temperature Control – Maybe you wake up at night because you’re sleeping in a pool of sweat; if this is the case for you, a mattress topper that offers a cooling feature might be something you are interested in. Some toppers get infused with cooling gel and holes to provide improved circulation throughout your mattress and your body. The gel absorbs some of the heat that you give off when you sleep, and it expels it out the side of the topper. If you sleep hot, you should consider a cooling mattress topper. You have an old mattress – If your bed is old it might have lost some of the support it once had; you bought your mattress at one point because you thought it was comfortable and now it has given up on you. Or, if you’re like me, you didn’t buy a mattress and you were given a “hand-me-down” from a previous generation, and it’s old and uncomfortable. Not everyone can afford to go out and buy a new one so adding a mattress topper can help prolong the life of your old mattress and make it feel like brand new again. Budget – As we said, concerns with money are a significant issue why people buy mattress toppers because it’s much more cost effective than going out to get a whole new mattress. You could pick up a topper, so you don’t have to suffer while you save up for a new bed. If you’ve decided that a mattress topper is in the books for you than there are some things you want to consider before making the purchase. You want to make sure you get the right topper for you and whoever you sleep with so take all of these points into consideration. Like regular beds, there are many different kinds of mattress toppers, and some are better for back pain than others. You want to pay close attention to the specifications on everything, but here are most of the types you’ll find online and in stores. Memory Foam – These toppers are designed usually to add more cushion to your bed, and they come in a variety of different sizes ranging from 2-4 inches thick. Memory foam can remember your shape so every time you lay down the foam contours perfectly to meet the needs of your pressure points. If you deal with back pain, this is the type of topper you should give a try. Many times you will also find memory foam that is infused with gel to make it more comfortable and cooler to sleep on. Memory foam does get hot and does not expel heat well so if you sleep hot already you want to consider getting one that has a gel infusion. Latex – This material is the most common mattress topper and has been for a long time. They come in a variety of shapes and sizes so if you only wanted to cover one side of the bed you could do that with this style topper. Latex is in more orthopedic toppers, so there are some medical benefits behind the material, we find though that latex does not contour your body as well as memory foam it is a bit firmer. If you’re looking for a topper that adds a bit of firmness to your mattress but still evens everything out to meet the needs of your pressure points you should consider latex. Thickness – If you suffer from back pain it might seem like the best option is to always go for the thickest mattress topper, but that is not the case. Medium thickness falls around three inches, and this level provides you with the most support and comfort, anything thicker will make you feel unbalanced or too firm. Density – You’ll find when you start researching that mattress toppers refer to pounds per cubic foot, and that classifies the density of the topper. Again, high pounds per cubic feet does not always mean it is the most comfortable material. You want to find the medium density which is around three or four pounds per cubic feet because this means the topper is not too hard or too soft. This level allows your body to sink into the topper, but it also gives you the support you need to prevent back pain. Size – Mattress toppers come in a variety of shapes and sizes, so you want to get the right measurements for your situation. If you and your sleeping partner are sharing the topper, then you should be able to match the topper to the size of your bed, but if you are the only person using it, then you have to get more creative. Take measurements and pay attention if you are buying online because sizes can be misleading. The debate over what type of mattress is best for you will probably never be fully solved, but we felt it was worth touching on here. Depending on what your style of sleeping will determine what type of mattress topper is best for you. If you deal with back pain, you will almost always benefit from a firm mattress because it will offer the support you need to relieve your pain. With that, you can find a firm memory foam that not only gives you the support, but it also contours to your body. If you sleep on your side most of the time, you will benefit from a softer mattress topper because your shoulders and hips will thank you. These pressure points tend to dig into the mattress and become sore because it is not soft enough. The only true way to find out that something works for you is to buy it and try, make sure to buy a mattress topper with a trial warranty. Check out our recommendations for the best mattress toppers for back pain. This company worked alongside neurologists and sleep experts to develop their mattress toppers for maximum comfort and heat dissipation. The topper starts with its exterior cover which is designed to keep away heat and moisture, as your body changes temperatures throughout the night the cover changes with you to cool down or retain heat as needed. Inside the material is an open-cell gel bead structure, so it’s not even solid on the inside, it contours well to your body and has great airflow. If you deal with back pain on a nightly basis, this mattress topper should help alleviate those problems and provide you with the support and comfort your body is craving. This two-inch gel infused memory foam topper comes at an affordable price so it should meet the budget of anyone looking to buy. We liked that the topper also comes with straps to help hold it in place, a lot of the competitor toppers will slide around throughout the night, and you find yourself laying on the hard mattress again in the middle of your rest. The Smartflow memory foam they use breathes well and allows you to sleep cool no matter what the temperature is in the room. If you sleep on your side and suffer from back pain, this is an excellent option because it’s just enough to cushion to help relieve your pressure points without being too soft and adding more problems to your list. Something that is slightly frustrating as the previous example as well is that you cannot get these with any variations, so you are left to deal with what they offer. We wish they could provide different firmness levels because the topper would appeal to many more people that way. We’re changing it up a little bit here now and talking about a premium latex topper made from 100% Talalay latex. The company claims to harvest their pure latex as soon as it reaches its most purified state which only happens every six months, so there are no additives or contaminants in the topper. Since there is no synthetic latex, the topper appears to bounce back much better, and it does not sag or break apart like some of the cheaper brands. The topper is designed to maximize airflow throughout the material, and it meets the needs of your body by contouring perfectly to your unique shape and size. Something we found to be interesting is, latex typically has a strong odor, and you can’t even sleep on it for a few days without airing it out first. The natural latex in this topper does not smell which says a lot about the quality of the material. Also, we are thrilled to say that this topper comes in three different firmness levels as well as two different thicknesses so everyone should be able to find a topper to meet their unique needs. If the temperature is a big issue for you when you sleep, you might need a topper that focuses entirely on helping you with your back pain while making sure you sleep cool and comfortable every night. The Saatva mattress topper is unique because it is infused with graphite to help pull away additional heat while you rest. This topper contains two different layers, one being the graphite and the other being the memory foam underneath for support and pressure relief. Orthopedists and Chiropractors recommend this topper for pain relief, and we love the fact that it also comes with multiple options for thickness and firmness. If a soft mattress topper is what you seek, then the Layla topper is an excellent option because it provides so many variations from very soft to very firm. Layla offers a two-inch thick memory foam topper infused with copper-gel to help you stay cool and supported all night long. These toppers have copper gel beads on the inside that are scientifically proven to absorb heat. We felt that this was not only one of the best toppers for cooling, but it’s also one of the softest for side and back sleepers. If you sleep on your stomach most of the time, they also offer firm mattress toppers, but we found them to be less available and not of the same quality as the soft ones. If you suffer from back pain due to surgery, injury, or joint problems you may feel that there is no way out for you. You go to bed every night in pain, and you wake up every morning in pain, but you do not have to suffer through a long night of tossing and turning. The best mattress toppers for back pain not only alleviate some of your issues, but they help you feel refreshed and ready to take on a new day. It’s worth it to go for the best mattress topper because they contain the best materials and offer the most benefits. You need an option that provides cooling technology because adding a mattress topper can cause you to sleep hotter at night and that may only make your problems worse. For these reasons, we chose the Molecule Mattress Topper as our personal favorite because it has the best features, benefits, and company reputation. 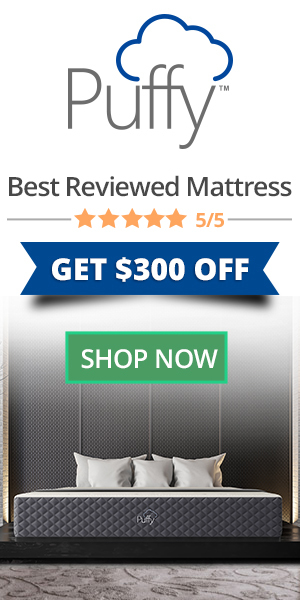 Hopefully, after reading this article, you are motivated to check out mattress toppers and give some a try. For more information and to get your own Molecule Mattress Topper, click here.